Vespa's recipes have appeared in "Midwest Living" and "Taste of Home" magazines. She is a recipe tester for "Cook's Illustrated." I'll never forget the first time I tasted Bircher's Swiss muesli. 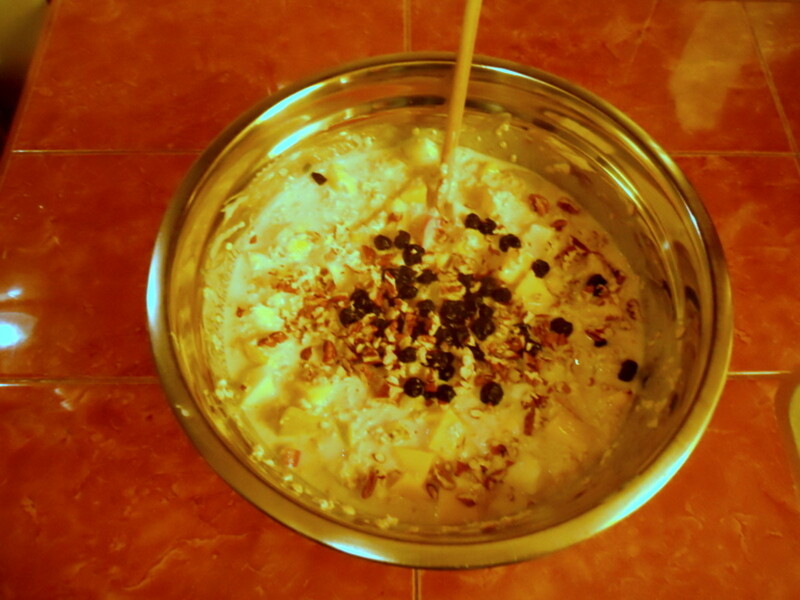 Pleasantly sweet and creamy, muesli with yogurt satisfied our appetites and energized us for several hours of skiing. Best of all, this meal is quick, nutritious, and can be made ahead of time. This recipe is based on Bircher’s original. A Swiss doctor, Maximilian Bircher-Benner developed this recipe at the turn of the 20th century to heal patients in his Zurich sanitarium. The good doctor espoused a diet rich in whole, raw foods—and his belief in the restorative power of food was so strong that he himself ate a bowl of raw oats and apples before his own meals, too. When Bircher's fellow physicians first heard of his revolutionary ideas, many stormed out of his conferences in outrage. We’ve all seen the muesli sold in supermarkets—the kind packaged in boxes and sold in the cereal aisle. This commercial variety is a far cry from Bircher's original recipe. Why should you eat muesli? The primary reasons are that it's delicious and healthy. 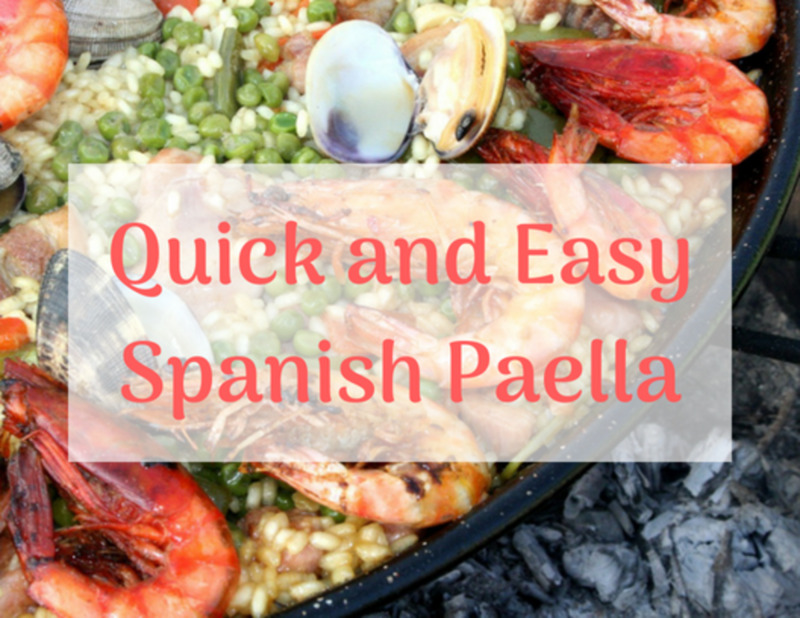 In addition, since no cooking is required, it's quick and easy to prepare. Not only that, the recipe is endlessly customizable; for example, it can be made with any fresh fruit you have on hand. Let's take a look at the recipe for Bircher's Swiss muesli. I'll tell you about the many possible substitutions you can make, as well as tips for preparation, serving, and storage. Once we've covered all of that, I'll share a bonus recipe for a quick and easy variation, for those times when you're in a hurry. And as if you needed any more reasons to consider adding muesli to your breakfast menu, I'll tell you about all of the health benefits of this wonderful dish. Combine oatmeal, yogurt, milk, and honey. 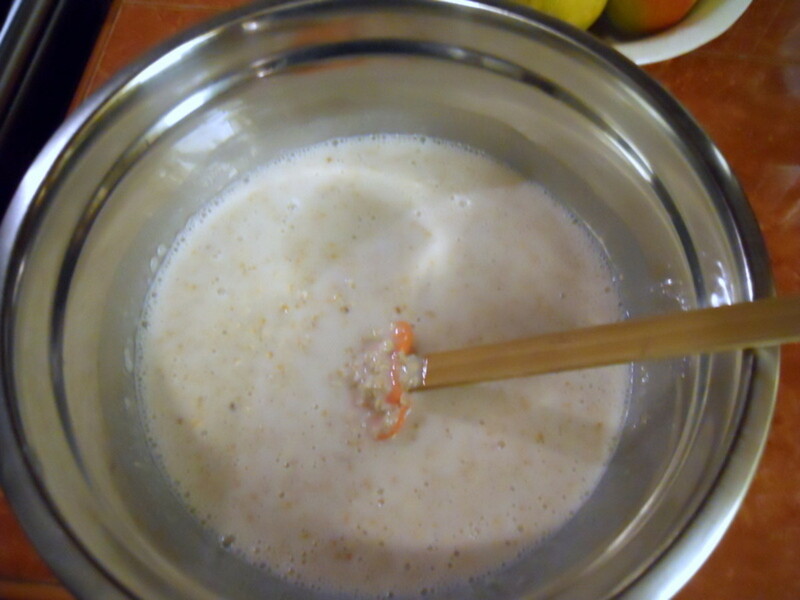 Start with 1/2 cup of milk and set aside for about 15 minutes, until oatmeal absorbs the liquid. Add more milk if a thinner consistency is desired. Chop or dice fresh fruit. 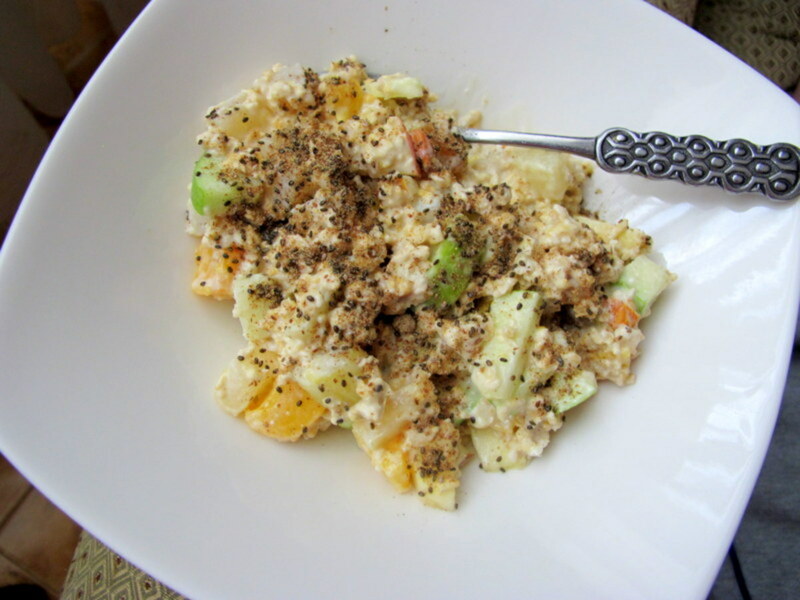 Grated apple gives muesli a smoother texture, but the muesli will also oxidize more quickly. Combine oatmeal mixture with the fresh fruit, nuts, and raisins, stirring gently with a spatula so as not to bruise the fruit. Sprinkle with seasonal berries, such as blueberries or raspberries, if available, for a gourmet touch. Or choose ground flaxseeds or chia seeds for extra fiber and nutrients. Yogurt - If you are lactose intolerant, replace dairy yogurt with soy or almond yogurt. Milk - Again, for those who are lactose intolerant, replace dairy milk with almond milk, soy milk, or fruit juice. Raw oats - Try using old-fashioned or quick oats. Honey - Substitute sweetened condensed milk, maple syrup, agave syrup, or a dusting of stevia. Raisins - Replace with dried cranberries, blueberries, or other dried fruit. Almonds - Substitute hazelnuts, Brazil nuts, or sunflower seeds. Pear - If you're not a fan of pear, you can replace with an additional apple. Fresh mango and fresh peach - If these aren’t available, don’t be afraid to substitute another sweet, soft fruit—or even canned peaches (2 peach halves) or fruit cocktail (2 Tablespoons). They add a natural sweetness to the muesli. This recipe makes just one or two servings. We usually double or quadruple the quantities so we can eat muesli for several days. We prefer sweet, crisp apples, such as Fuji or Honeycrisp. 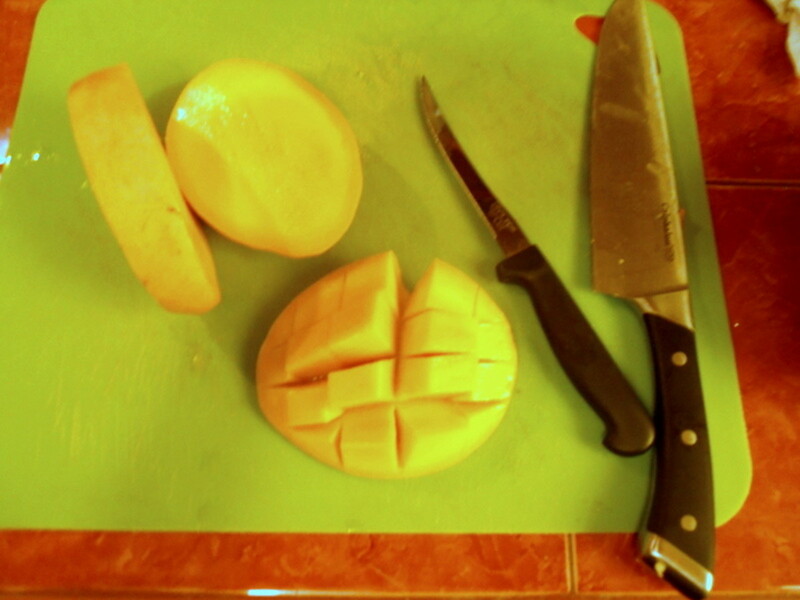 A sharp knife makes cutting fruit easier and cuts it cleanly without bruising. Better yet, enlist a helper to hurry along the process. This recipe makes muesli that is the consistency of thick oatmeal. If you like it thinner, add more milk or liquid of choice. Muesli is fun to make with kids. The adult can do the chopping, while the child can help measure and stir ingredients. If the yogurt or kefir is pourable, you may need less milk or juice. The oatmeal/yogurt mixture should be thin enough to pour when you mix in the fruit. It will thicken as it rests. To cut calories, buy plain, low-fat yogurt or kefir. Sweeten with stevia instead of honey, if desired. 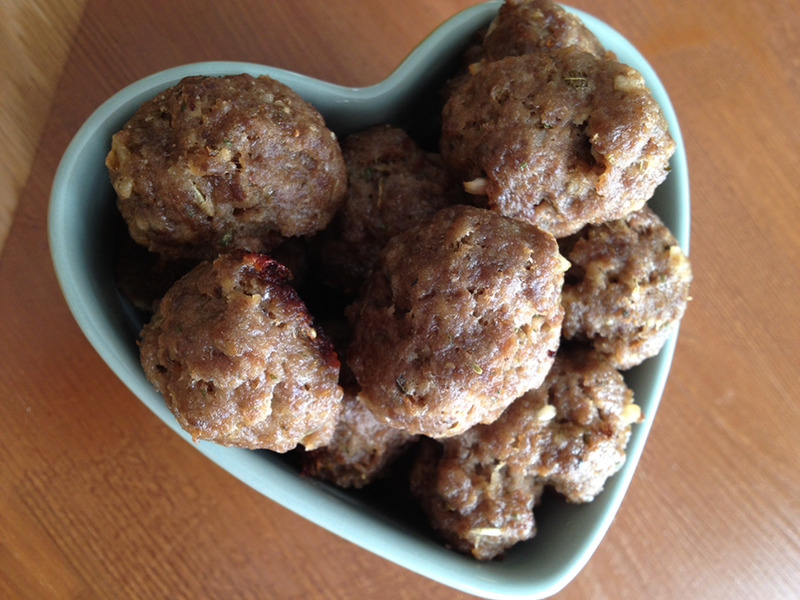 Sprinkle with flaxseed or chia seeds for extra fiber and heart-healthy Omega-3 fatty acids. Try muesli for a mid-afternoon pick-me-up. 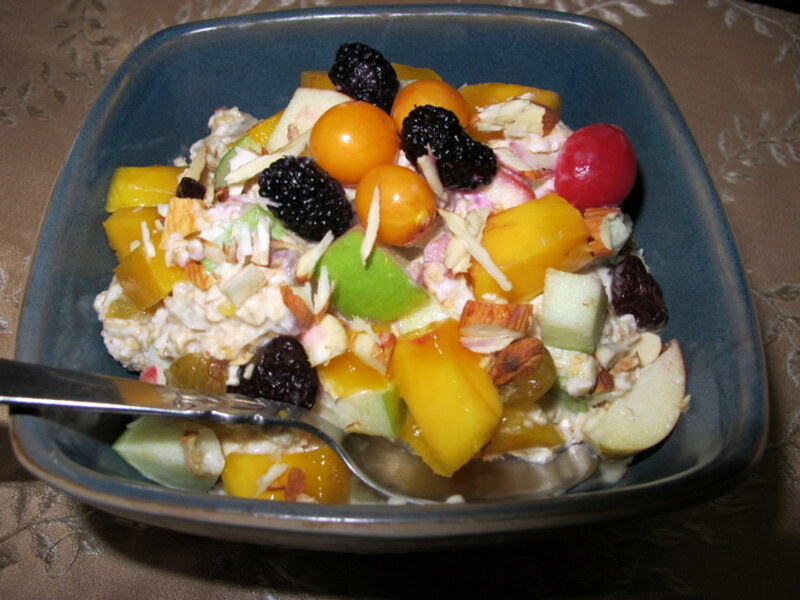 Since oxygen is the mortal enemy of cut fruit, store muesli in an airtight container in the refrigerator. It will keep for several days. If you want to store muesli for a few days, an apple like Granny Smith oxidizes more slowly because of its lower sugar content. Now that we've covered the original Bircher's Swiss muesli recipe, let's talk about a quick recipe you can make if you're short on time. This recipe is simple but very satisfying, nonetheless. Serving size: one. Combine oats, yogurt, and milk. Allow it to rest. 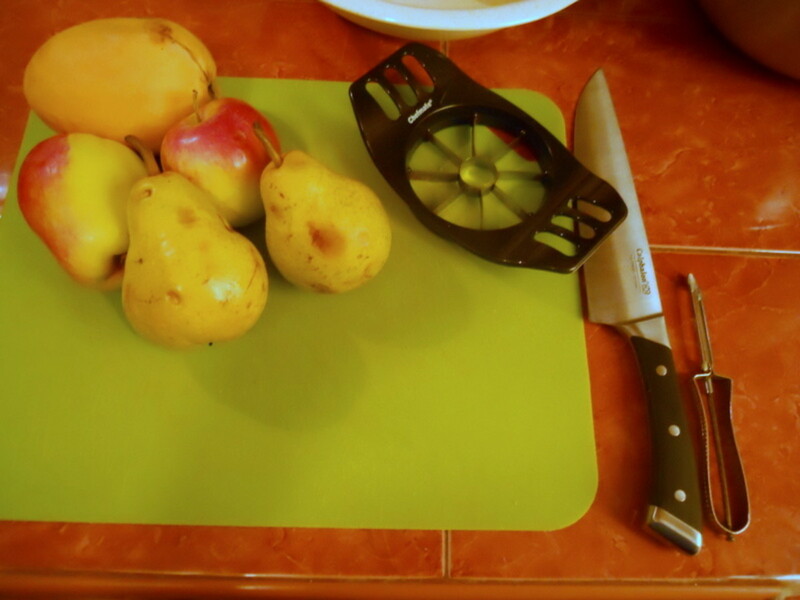 Core and chop apple, or use a large grater to shred the apple. Add to yogurt mixture and stir. Add more milk if you like a thinner consistency. 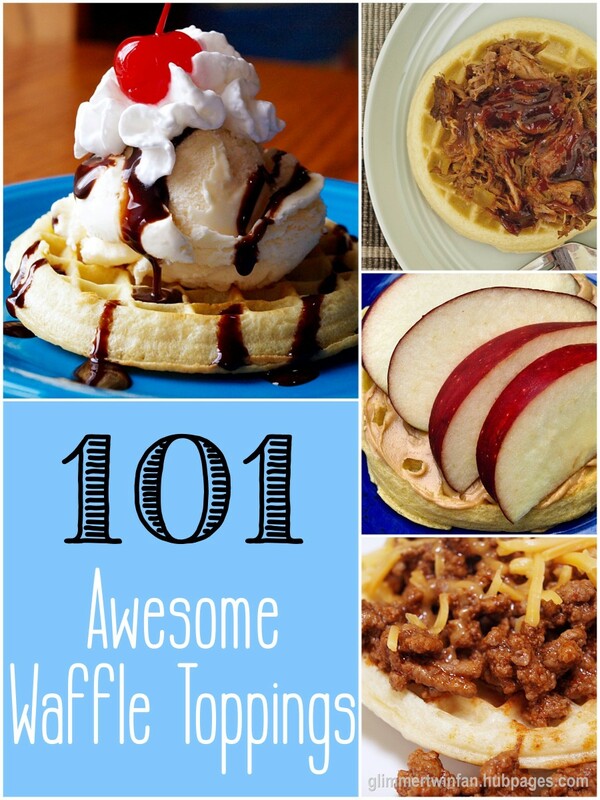 For this recipe, we prefer Braeburn, Fuji, or another sweet and crisp apple variety. Weight loss: Oats contain more soluble fiber than most other grains. This fiber absorbs large quantities of water, slowing the digestive process and making you feel full longer, which helps control weight. Digestibility: Due to soluble fiber, oats are more digestible than other grains. Although in the United States oats are most often consumed in cooked form, raw oats are easily digested. Just soak in yogurt and milk for at least 30 minutes, or overnight, before adding fruit. Cardiovascular health: It’s a well-known fact that oats can help lower harmful cholesterol while increasing good cholesterol, thus reducing the risk of heart disease. Oats also help control blood glucose levels, may reduce high blood pressure, and may also reduce the risk of certain cancers, such as colorectal cancer. Mental health: Oats contain inositol, which can act as a natural anti-depressant. Nutrition: Oats contain numerous vitamins, minerals, and antioxidants. They are also a good source of protein. Full of “good” bacteria, or probiotics, yogurt benefits intestinal health and immune function. Yogurt is a good source of calcium. For those who suffer from lactose intolerance, try a non-dairy yogurt such as almond or soy yogurt. Since yogurt makes you feel full, it can contribute to weight loss. You can make Swiss muesli with any fruit you have on hand. Tell us about your experience in the comments section below! Vespa, this looks delicious and easy to try. I never had muesli before and would be happy to give it a go sometime this year with the simple recipe first. This looks healthy and delicious - just the kind of breakfast I've been looking for. techygran, I´m glad this brought back memories of your hippie days muesli and hope you´ll try it again soon! (without dairy). Thanks so much for your comment and have a great weekend! Deborah-Diane, I'm glad you're going to make this muesli! It's delicious and good for you, too. Thanks for your comment. This sounds wonderful! I love to eat Muesli once in a while, so I will definitely try this recipe! Soulfully, pineapple would be delicious in this fresh fruit muesli. I'm glad you're going to try this healthy breakfast. Thanks for stopping by! The Bircher Müesli Recipe looks like something I'd really enjoy for breakfast. I think I'd add pineapple to mine for an extra sweet kick. talfonso, I'm glad you're going to try this recipe! 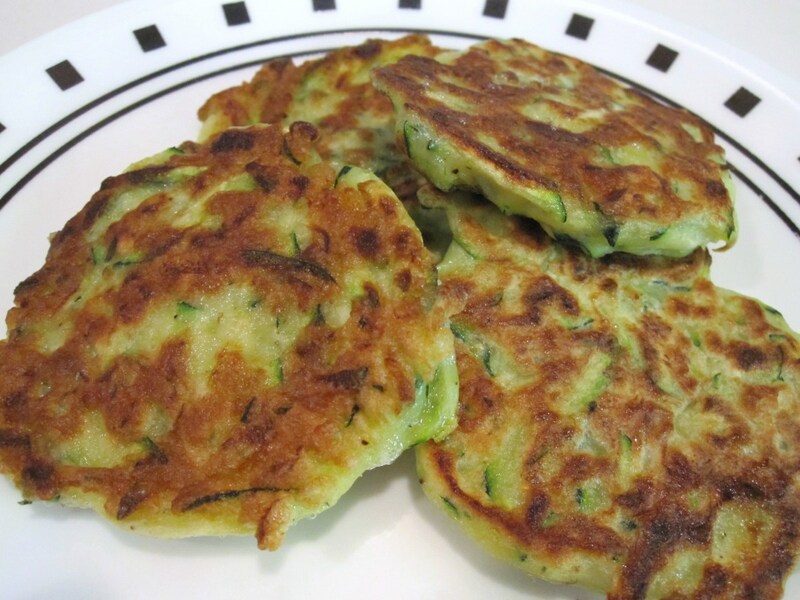 It's one of our favorites because it's healthy, delicious and quick and easy. Enjoy! I used to soak oatmeal in water and then add fruit as muesli. I'm definitely going to try this recipe! It fits my lifestyle and it's a welcome complement to 3 ounces of scrambled egg whites. Mmmmmm mmmm! 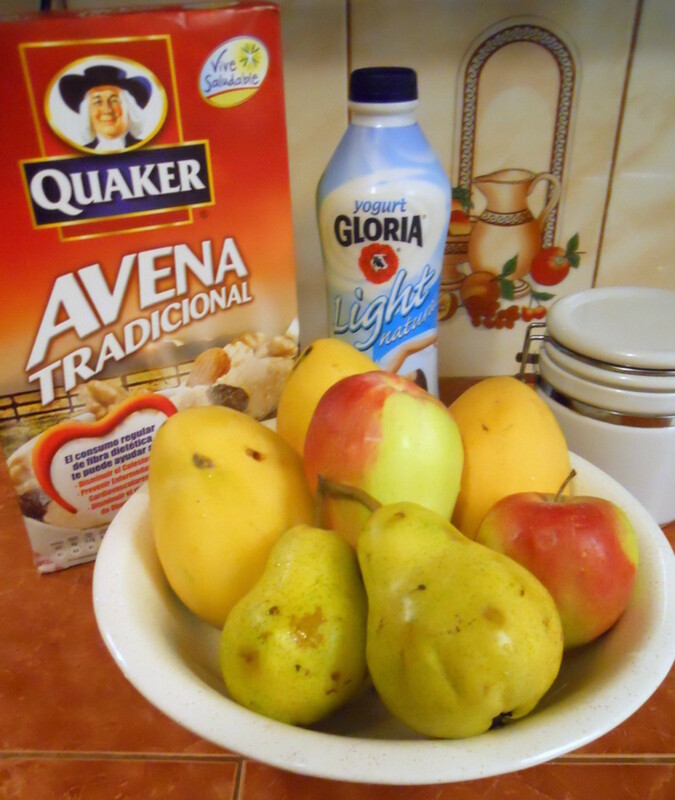 Rafaela Lima, I'm glad you're going to try this delicious and healthy Swiss Muesli! Thanks for coming by! CyberShelley, thank you for the kind words! Muesli has all the elements of a great breakfast: quick, easy, healthy and delicious. Thanks for coming by! Well done on another stellar recipe hub vespawolf. I was looking for a good recipe for muesli and as I've tried your recipes before I know this will be perfect as well. Thank you! twig22bend, please come back and tell me what you think, if you have a chance. Raw oatmeal has been eaten for decades in Europe and it's becoming more popular in the U.S., too. Enjoy and thanks for coming by! I love oatmeal. I have never eaten it uncooked, but this sounds like my kind of dish, so I am going to try it. Thanks for sharing. Deborah-Diane, I'm glad to meet someone who appreciates the benefits of eating raw oatmeal! And it's delicious, too, especially when mixed with fruit and yogurt. Thank you for all your support. I frequently eat raw oatmeal, and sometimes add a little fruit. However, I love the idea of putting all this together as a homemade Muesli. It sounds like my favorite kind of breakfast. Thanks! lielsl5858, swiss muesli is a delicious and healthy way to start the day. 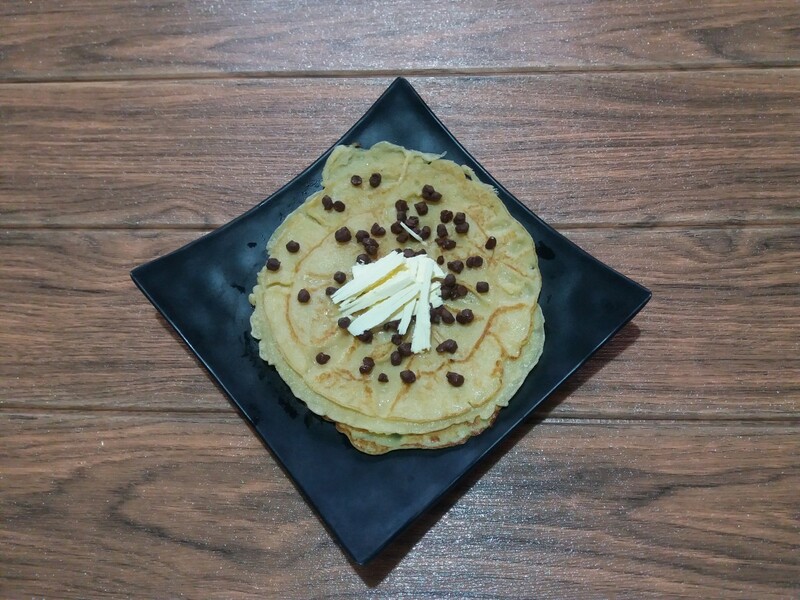 Enjoy and thank you for coming by! Looks tasty to eat, I have to try some of your delicious looking recipes. Thank you vespawoolf for sharing. Moonlake, oatmeal is good for you any way, but my hubby who doesn't care for cooked oatmeal loves muesli. So we eat it a lot in our house. Your oatmeal with bananas and raisins sounds yummy to me! Thanks for the vote. Love oatmeal with raisins and banana's on it with skim milk. We always eat cooked oatmeal sometimes for dinner. I have never tried it your way but will have to give it a try. Sounds good. Voted up. lindacee, I know what you mean about Eggo waffles. : ) This is a great breakfast for something healthy. It sure does start the day off right. Thanks for taking the time to read and comment! Thanks fo the share and comment, AudreyHowitt! beingwell, my hubby isn't a fan of fruit or most mueslis but strangely enough, he often requests this muesli. I hope you have a chance to try it. I like that it keeps well in the fridge for several days so he has a healthy snack he can serve himself and fill up on in between meals. Thanks for coming by! Sharing this hub to my friends! Prasetio, muesli is delicious and healthy. I hope you enjoy it! Thanks so much for the vote and comment. I love the recipe and it sound delicious. I'll show to my mom and I hope she want to make it for lunch. Voted up! PeggyW, we eat muesli regularly and always feel like we're doing something good for our body. We also love it! It's versatile since you can use so many different fruits. Please let me know what you think if you have a chance. Thanks for the votes! This gets another 5 stars from me + up and useful votes. Can't wait to give this a try tomorrow morning for breakfast! Definitely passing this along by sharing. Thanks! Hendrika, the raw oats, fruit and yogurt makes muesli a nutrition powerhouse. I know fruit can be expensive in some areas, so use apples and whatever fruit is least expensive there. I find most any fruit I've used in muesli is really delicious. Thank you for stopping by! I must say it sounds very delicious. The apples prevents it from being too expensive for me as fruit is quite expensive. I will add the canned fruit it needs be. We are all so used to the store bought variety that we do not even think of making our own and I find that some of them have a lot of sweetness and roasting wich I suppose makes the oats not "raw" any more! Unknown spy, you're right. We're having a bowl of muesli this morning! It really gives you the right start to the day. Thanks! sure looks so healthy and tasty! gave it 5 stars. Alocsin, muesli requires no cooking and is so fast and healthy. We make large batches and store them in the refrigerator in a sealed container. Then we have a quick and healthy breakfast for several days in a row. Enjoy! I don't know that I've ever had muesli but this recipe sounds good enough for me to try it out. Voting this Up and Useful. 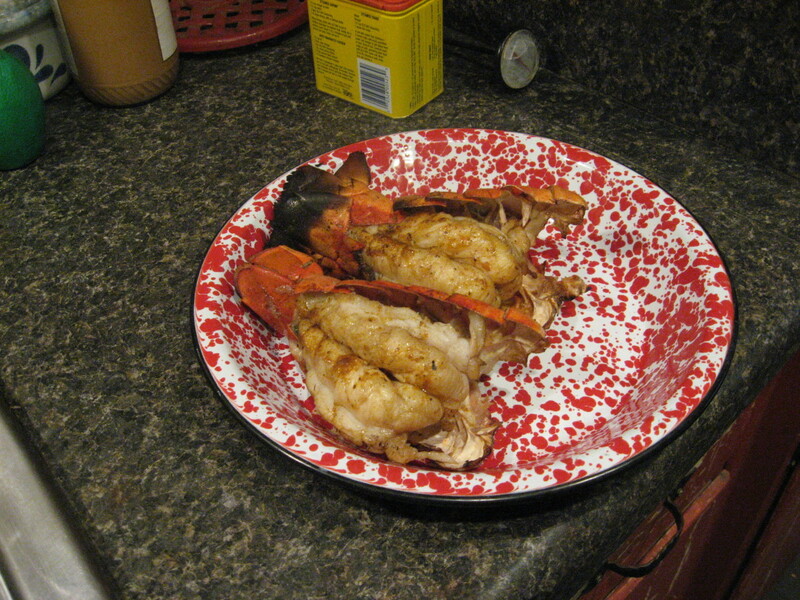 Sandrabusby, enjoy the recipe! Thanks so much for taking the time to read and comment. I haven't had Bircher muesli since I lived in Zurich, but I'm going to make some now. Thanks for SHARING. sen.sush23, muesli is a delicious alternative to boxed cereal and so healthy! I'm glad you find this recipe useful. Thanks so much for the vote, share and comment. This looks and suggests an interesting and healthy breakfast option. I eat cereals and often add raisins and nuts to it- muesli from the market was something I got,but I prefer not to go for packaged food. Your recipe is such an appetizing alternative and the video is also interesting. Voted up and shared. Melovy, I'm glad you can use this recipe. We just love muesli and eat it often. Thanks so much for the vote and comment! Natashalh, it's nice to know there are non-dairy yogurts out there. I'll make a note of it in this hub. We love this muesli and hope you enjoy it as well. Thanks so much for taking the time to read and comment! ishwaryaa22, thanks so much for the share and vote. We enjoy this muesli quite often as it's so delicious and healthy, too. It's nice to hear from you again! This looks good. I eat porridge (cooked oatmeal) almost every morning so this would make a good change, especially in summer. I will soak some oats overnight. Luckily, they now make yogurt out of non-dairy milks. Almond yogurt is delicious! I recently started becoming lactose intolerant and yogurt was the first thing I noticed bothering me, as clairewait noted. Thanks for the recipe! I really had no idea muesli was anything more than the boxed item on the cereal aisle. This sounds delicious and ready healthy. I am fond of Swiss museli and granola. I often bought the commercial types (reputed brands only). This is a truly authentic dish and your recipes are clearly explained. I would like to try them soon. It is interesting to note the origination of authentic Swiss museli thanks to the good doctor Bircher. An engaging hub with yummy photos. Well-done! Clairewait, I'll keep that in mind about the lactose! Yes, it's a wonderful summer recipe that we enjoy often. Besides being quick and easy, it's very nutritious. Thank you for commenting! I have yet to meet someone who is lactose intolerant that can tolerate yogurt--it is often the first thing to go. At any rate, this breakfast looks delicious and hearty, and I am not lactose intolerant, so I'll be trying! *I also love this for summer... no cooking the oatmeal. Great hub. Good to know about the cheese in Switzerland! When we went to Paris I ate cheese for two weeks straight. I don't think I'm lactose intolerant, but it did't have a good affect on my digestive system to say the least. : ) Enjoy the muesli and thanks for your comment! I can sure cook. I am not usually into recipe hubs, but this caught my eye. We had a co-op "health food" store in my town that made the best muesli, but the the old hippies were bought out and the place turned into a more commercial operation. The new one has some good food in the cafe', but no muesli. Now I can just make my own. Thanks. Cheese, the way they make it in Switzerland, is good for you in moderation (unless you are lactose intolerant). Cammiebar, I have updated the muesli hub based on your question about consuming raw oats. I hope you'll drop back by! Hello ElizaDoole. Nutritionists say raw oats are more beneficial than cooked in weight loss programs. It will help lower bad cholesterol and increase good. Plus it tastes good! So there's no need to cook the oatmeal in muesli. Just let it soak in the milk and yogurt for about 30 minutes, while you chop the fruit. @cammiebar - I want to know that as well. About the oatmeal. I like making muesli thanks for the recipe. Wow, what a wonderful vacation! Now you can recreate your memories of the muesli. I recently went for a few days to Mörschach, Switzerland, and the breakfast buffet at the hotel I was staying in had Swiss Muesli every day, it truly is delicious!!!! Now I know how they made it taste so good. Muesli is made with raw oatmeal. No need to cook it. Just mix with milk and yogurt and let it rest as you chop the fruit. Not just delicious, it's also very healthful. I hope you'll give it a shot. It's very addictive! This sounds really good! But I have a question. 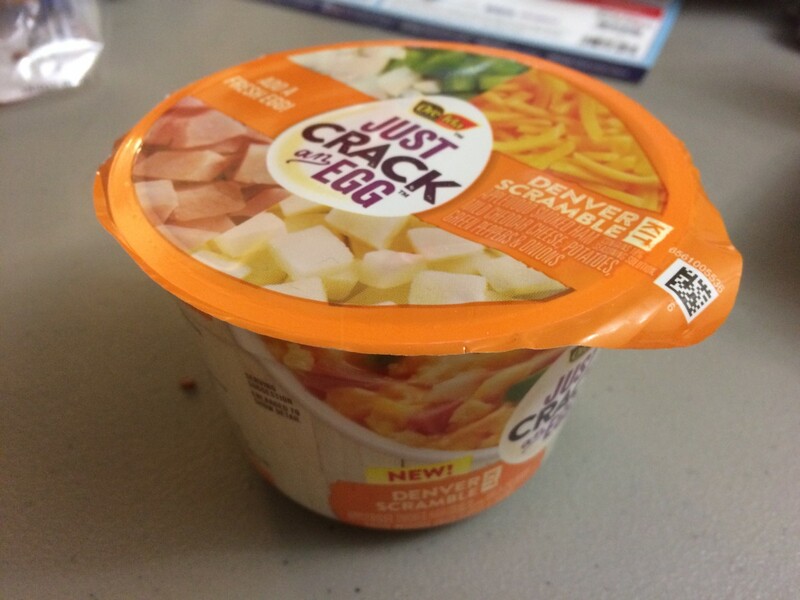 Do you use instant oatmeal and not heat it up when you combine it? Or do you need to cook the oatmeal a bit first?